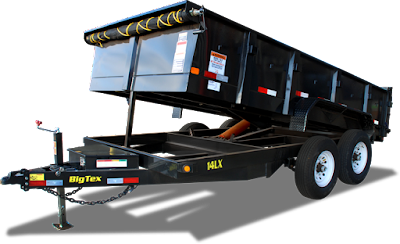 Michaud's Trailers was acquired by Big Tex Trailer World in August 2016. Please go to our new website to view our inventory! For Full 10ET Specs CLICK HERE! For Full 10FT Specs CLICK HERE! For Full 14ET Specs CLICK HERE! 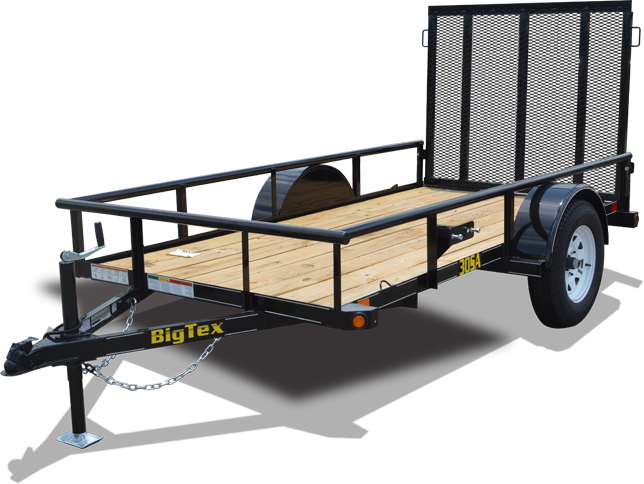 Check out the NEW Mega Ramp design by Big Tex Trailers. 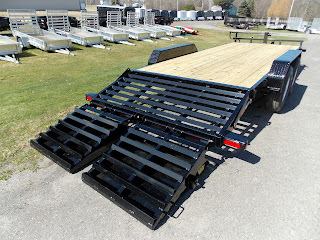 The Mega Ramps are 44″ wide and when closed, give you a full deck space to use for additional cargo. Mega Ramps are double springed to allow them to be easily lifted and used. 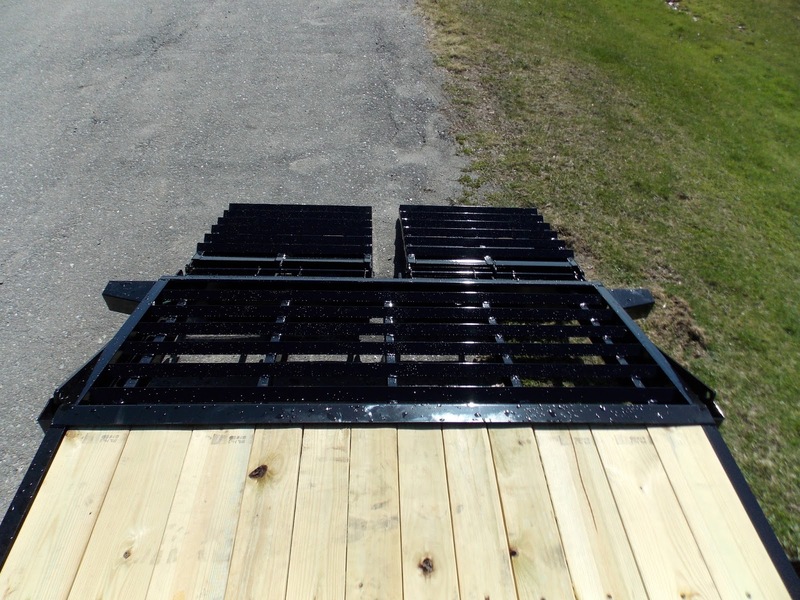 The 1/8″ diamond plate ramp operates with an innovative double action spring system which allows the end user much more versatility. 70SR Tandem Axle, Single Ram, (2) 3,500#, EZ Lube, & Electric Brakes. 12LX Standard Duty Tandem Axle Extra Wide Dump (2) 6,000#, EZ Lube, & Electric Brakes. 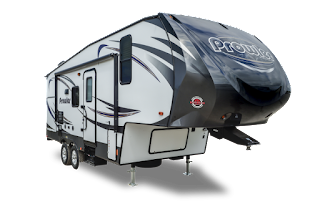 Michaud's is proud to announce the arrival of our 2016 line of travel campers! Available in many sizes and floor plans to fit your needs. 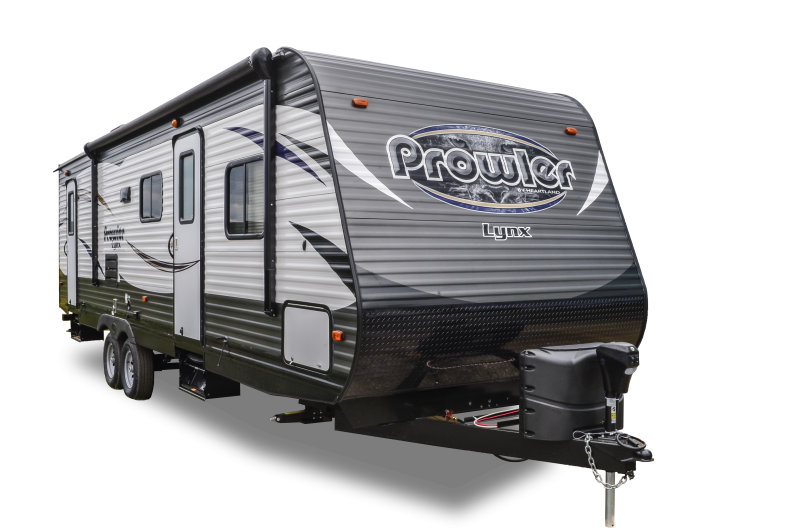 For a Limited time Michaud's is offering a $500 Early Bird Discount along with a free battery and propane fill on all camper models in stock. 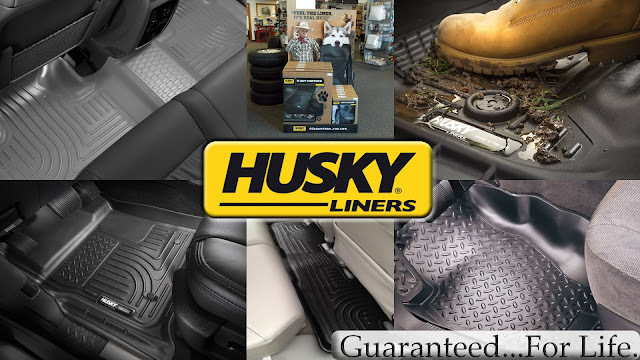 Michaud's Trailers is proud to announce that we are an official dealer of Husky Liners! A premium floor liner to fit any vehicle & lifestyle. Also offered by Husky Liners are Mud Flaps & Guards, Fender Flares, Ball Mounts, Truck Bed Rail Protection, and More. 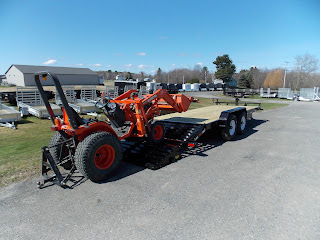 Your regional distributor for The Boss Snowplow in Central Maine. Michauds Trailers typically starts each winter season with 150-200 Boss Plows. 2015-2016 model year Boss Plows are going fast! Don't miss out on getting a plow for your truck. Please follow the link below for a step by step tutorial on financing your new PJ Trailer with Sheffield Financial. 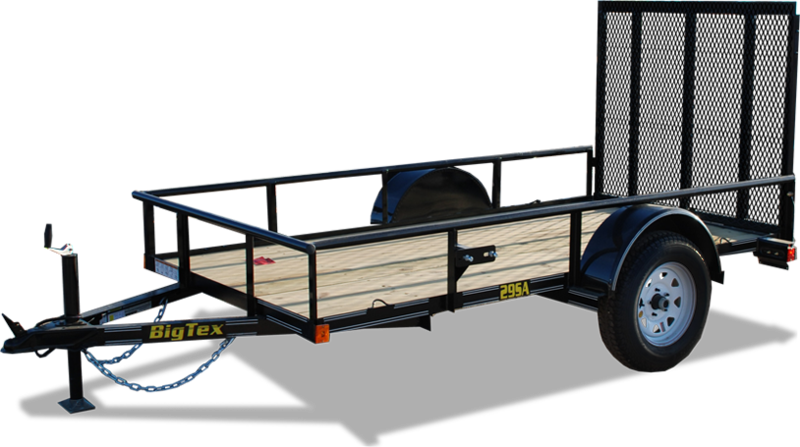 Introducing GridIron Utility Trailers --- Only at Michaud's! 83"x12' 2995# GVWR. 15" Radial Tires. Channel Frame. Electric Brakes. Sealed Lights. Dove Tail. Spring Assist. 83"x14' 2995# GVWR. 15" Radial Tires. Channel Frame. Sealed Lights. Dove Tail. Spring Assist Ramp. 77"x14' 2995# GVWR. 15" Radial Tires. Channel Frame. Heavy Duty Axle. Sealed Lights. Dove Tail. Spring Assist. 83"x14' 2995# GVWR. 15" Radial Tires. Channel Frame. Heavy Duty Axle. Sealed Lights. Dove Tail. Spring Assist. The content of this site remains the property of Michaud's Trailers. Prices noted do not include Maine Sales Tax. Everything published on this site was current at the time of publication. 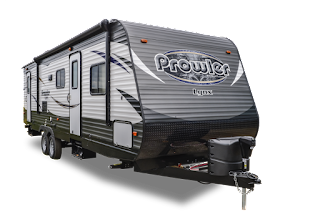 Sometimes there is a lag time when the last model of a trailer/product is sold as to when it is removed or when prices change. You may always call to make sure that a specific trailer/product is still on hand and confirm pricing. 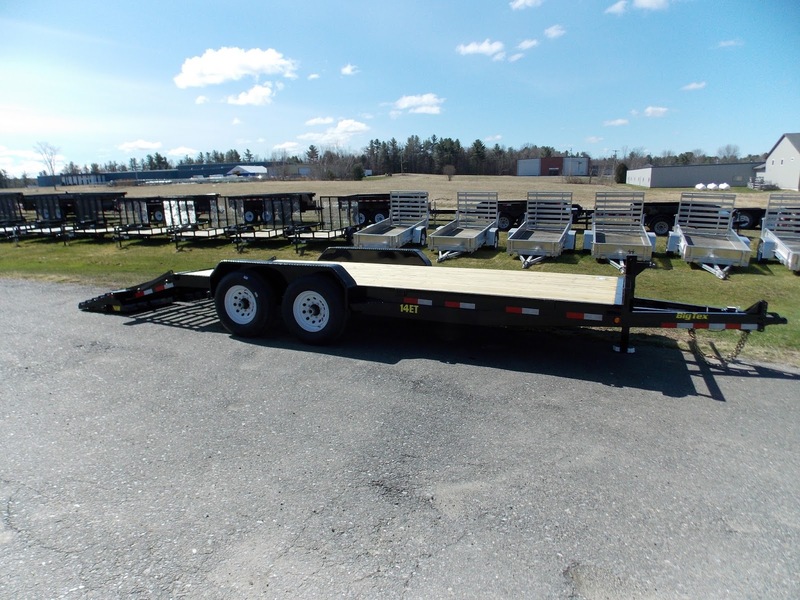 Michaud's Trailers, it's employees, and it's web master are not responsible for typographical errors, changes in specifications or material relating to individual products.